We know, we know – if it ain’t broke don’t fix it. This British staple has treated us well for years and there’s a reason for that – the combination of flavour-packed sausages, rich gravy and smooth mash is nigh on perfect. Try not to think of this so much as a superfluous “fix” and more of a gentle tweak – even if it is a little too gastropub. 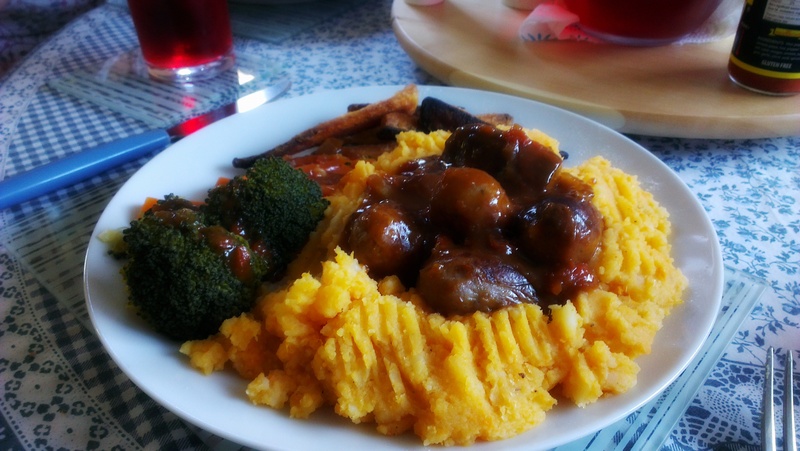 In any case it worked well, with the sweetness of the peppers in the gravy and sweet potato mash working marvelously. 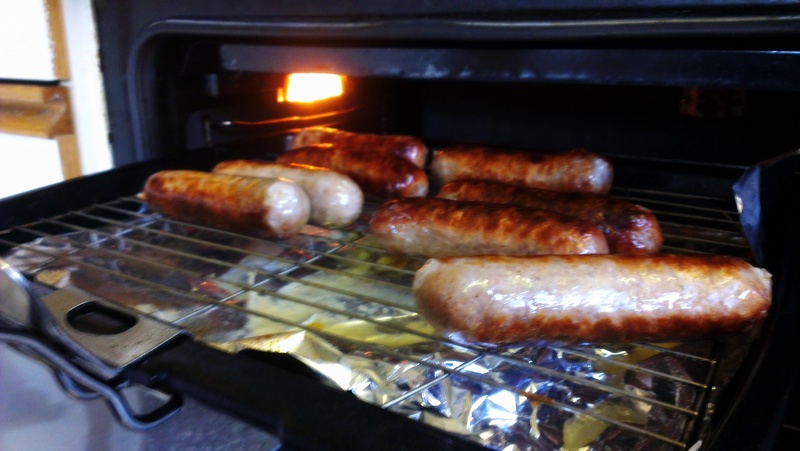 Have the sausages gently grilling, turning regularly, so that they’re ready roughly five minutes before you want to serve. Boil the potatoes in salted water until a knife slides in and out effortlessly and clean. Drain, leaving in the saucepan. Mash together gently, add the butter and mash until velvety and smooth. Fry the onion in butter over a medium heat, until starting to brown. 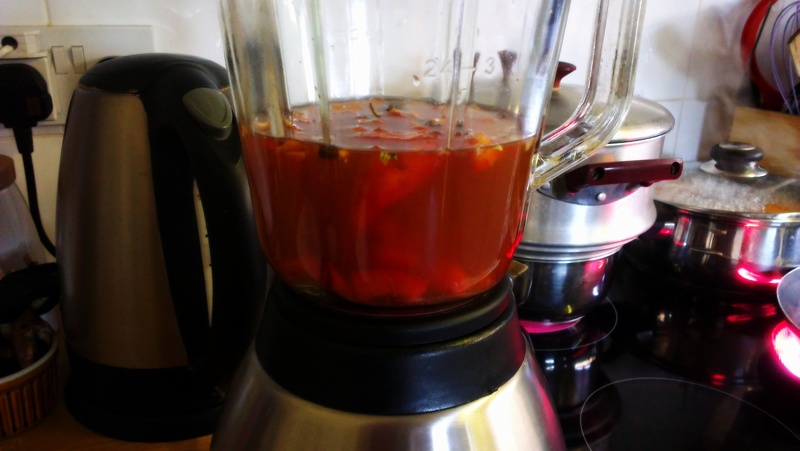 Meanwhile, in a blender combine the red pepper and stock. 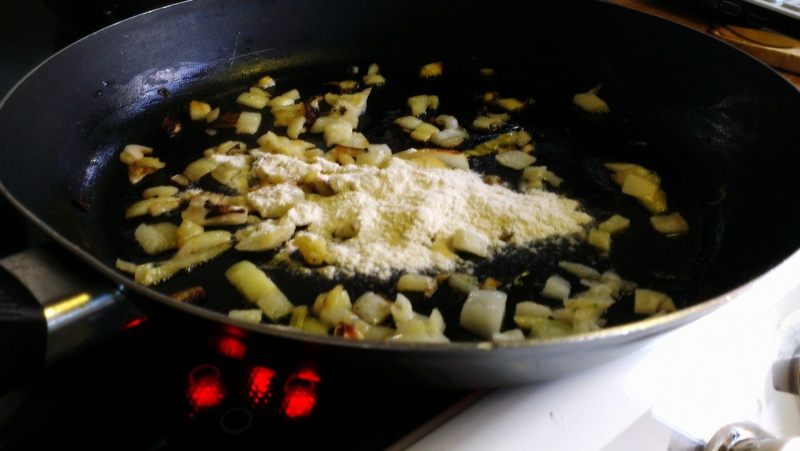 Add the flour to the onions and stir to make a roux, cooking gently until it smells faintly like pastry. 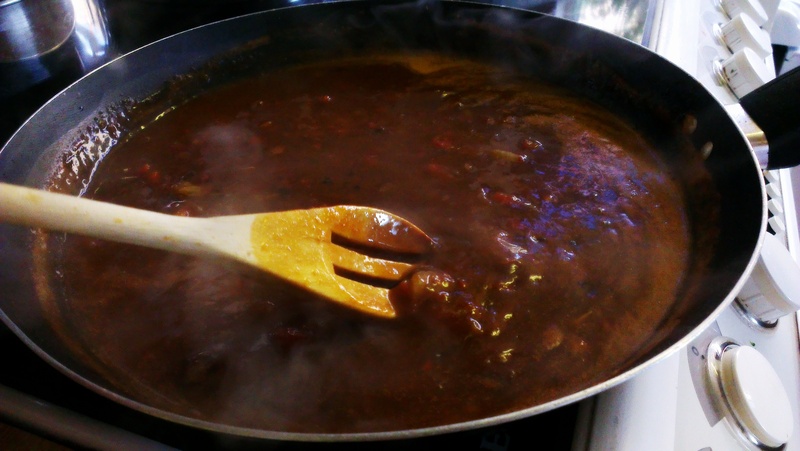 Add the cold pepper-stock mix and stir in thoroughly. 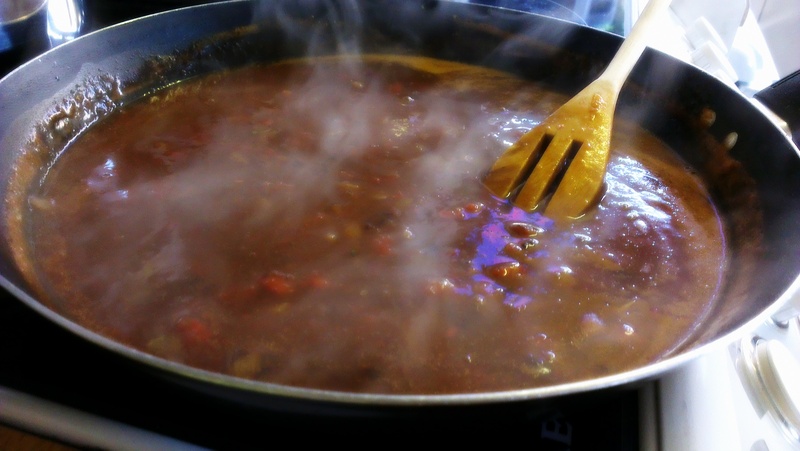 Continue to cook, stirring, until it thickens more. Season with herbs, salt and pepper. 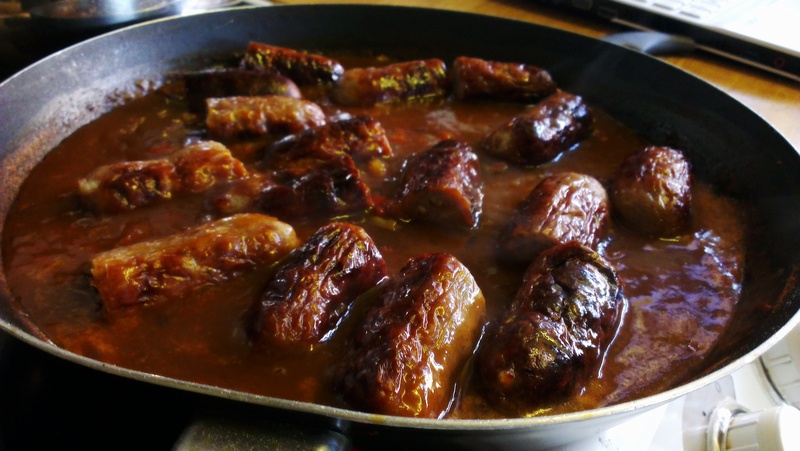 When the sausages are ready, add them to the gravy to coat thoroughly and cook a little longer. We cut ours in half for easier presentation, but of course, if you don’t want to, don’t bother. We serve ours in the traditional, vaguely volcanic way along with some steamed/roasted vegetables. Just be sure to have enough gravy that the rest of the meal isn’t dry. And yes – brown sauce is mandatory. 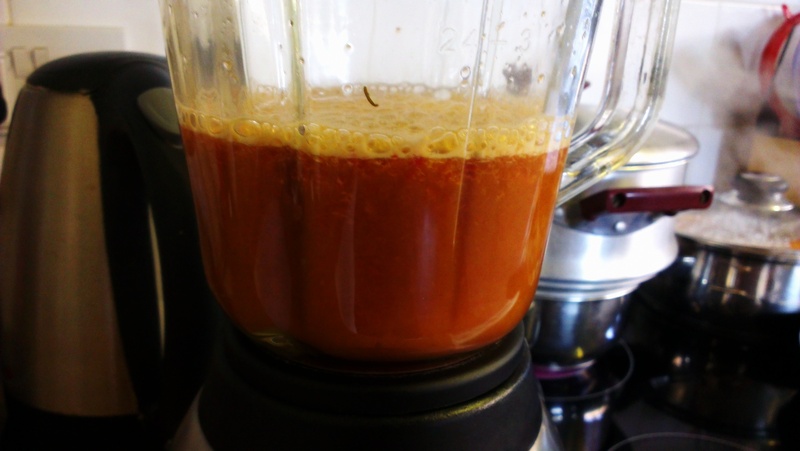 The gravy will keep in the fridge for a good 3 or 4 days, although it may separate and need stirring. The mash will also keep well for a few days in the fridge or weeks in the freezer. As for the sausages – more than a day and I find they dry out too much. Best to just cooks these as and when. Have we gone too far this time?! What are your thoughts on adapting classic recipes? 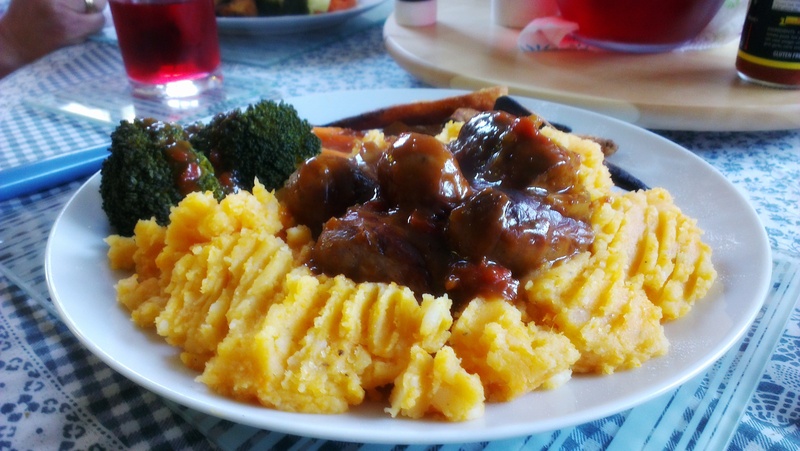 Posted in Guesscipes, Mains, Pork, SaucesTagged bangers and mash, british food, guesscipe, pork, pub food, recipe, red pepper, sausage, sweet potatoBookmark the permalink.